My second holiday station at the family shack. My Story, Well what I remember. My grandfather used to listen to shortwave radio on a national R-220J when I visited, we would listen to all sorts of strange signals I remember. All those strange noises like the woodpecker and morse code puffing sounds. We gave it a go by cutting up an old extension cord for wire and did some measurements. This gave the radios a range of just over 500m now. Wow! We were excited, pity about the extension cord we chopped up. 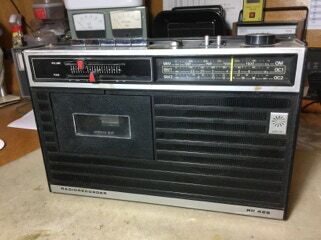 I had my mums Mum’s Philips cassette shortwave radio and my friend a similar radio with a signal meter (lucky him). We could could hear the hams on 7MHz at night. By accident we found out that if you placed another radio next to the other radio you could decide what the SSB signals were talking about with careful tuning. I think at nine years old I was given a set of toy walkie talkies as a present, these had a morse code key on them, how cool! We use to play with these quite often in our cubby houses when playing war games. I found out with my friend that if you put a bigger antenna on them you could increase the range. So the antenna became bigger by using bamboo sticks with wire wound around it. We tied the bamboo on to the back of a dragster bikes. My friend Ashley and I by fluke managed to listened to a conversation on the walkie talkies (27MHz) one day. This one person explained to how a 1/2 wave of wire wound around a stick made a tuned helical coil whip. Im not sure but at the time it was a eureka moment for us. This happened by accident as I was comparing the two radios at the time side by side. This I didn&apos;t understand till many years later, it was the BFO effect. We now could listen to SSB but I had to retune every minute it seemed! I remember talking to a high school friend after Christmas break, Its was year 9 and my class mate told me about a CB radio his dad had and they could talk to America! WHAT your joking!! The crazy bit was when knew the answers to the exam questions but had no clue why. They were the best fun years, making the most junky stuff from anything we could get our hands on. My first ham radio was a IC02A, I used all my pocket money to buy. The funny thing was that we were both too shy to talk on the radio for the first 6 months. So we continued to use our 55MHz tandy radio but modified them to be a base radio. ﻿I ﻿begged ﻿mum ﻿and ﻿dad ﻿for ﻿months ﻿about ﻿this ﻿CB ﻿thing, ﻿I ﻿turned ﻿my ﻿efforts ﻿to ﻿my ﻿grandparents ﻿like ﻿all ﻿good ﻿grand ﻿children ﻿do. ﻿I ﻿was ﻿helped ﻿to ﻿buy ﻿a ﻿Tedelix ﻿TE4000 ﻿AM ﻿CB for ﻿my ﻿birthday ﻿as ﻿a ﻿result. With ﻿a ﻿center ﻿loaded ﻿antenna ﻿on ﻿the ﻿house ﻿gutter ﻿away ﻿I ﻿went. ﻿What ﻿a ﻿shocker ﻿CB ﻿was, ﻿full ﻿of ﻿all ﻿sorts ﻿of ﻿characters ﻿and ﻿some ﻿colourful ﻿language ﻿too! ﻿I ﻿could ﻿hear ﻿America ﻿just ﻿like ﻿my ﻿friend ﻿said. ﻿But ﻿I ﻿could ﻿never ﻿talk ﻿back ﻿to ﻿them, ﻿only ﻿the ﻿locals ﻿and ﻿sometimes ﻿interstate ﻿stations. 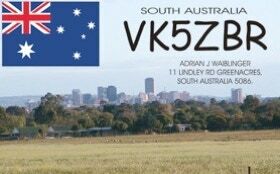 ﻿With ﻿quite ﻿a ﻿few ﻿QSO’s ﻿under ﻿my ﻿belt ﻿I ﻿discovered ﻿the ﻿SSB ﻿mode ﻿on ﻿CB ﻿you ﻿could ﻿with ﻿not ﻿much ﻿effort ﻿talk ﻿to ﻿this ﻿DX. A few years later I talked my uncle into buying a SSB CB. I helped him install the radio in his new SUV for his next trip. 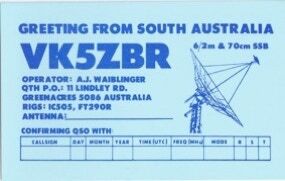 I will lucky to go on this trip to the Flinders Rangers and boy the over seas stations we could talk to . My god I need a SSB radio soon! Again I asked my grandparents to help me out and I would sell my old AM radio to make up the money. I got my Hornet II SSB CB just like my Uncle and I worked plenty of DX. I ended up getting a 3 element yagi too, that was on a pole that was held up by a swing in the back yard. Through this radio I talk to plenty of DX filling up my little log book. I did plenty of reading and dreaming about ham radio. I now so badly wanted a ham radio but the license which scared me a bit. We learnt from my friend Ashley and others on the CB radio, a old RSGB and ARRL book were we gained our knowledge. I got my ham ticket with Ashley when we were 17 years old in 1987, it took us three attempts over 3 years. Ashley and I had no mentors so we learnt by reading books. 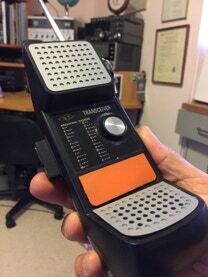 We use to quiz each other on 55.050 Tandy walkie talkie frequency each night. My first career choice was a National Parks Ranger mid way through high school, I did 3 years in agriculture subjects at school. I wanted to do computer programming as that was one of my hobbies and had a knack for it. I was talked out of this. The other career choice that I didn&apos;t think I could get into was electronics industry. I went to TAFE in a prevocational electronics to workout what I wanted to do. They had a program that gave me basic knowledge and sent us to 4 places to work for a while to see what part of the industry I liked. Managed to get a job in radio servicing of taxies, then by chance I stepped my way into an apprenticeship in radio trades with another big company. I did more studies when I finished in advance communications mainly to learn more about my hobby. I had quite a few good mentors to teach me over the years which I thank. My profession is a Technical Officer and my main duty is maintenance of the HF radio, satellite telephone and marine communications. I met a good core of ham radio friends, we started together a club call AREG to suit our needs or experimenting and building. 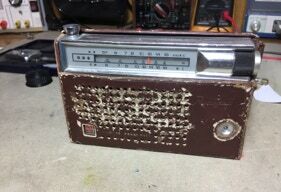 Today I love to restore old radios and build antennas. I still find building a radio from ground up very exciting. 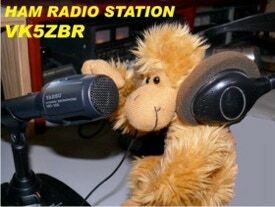 Current QSL card, George the mascot.